Set on an amazing stretch of beach and just a short walk to lively Grand Baie, the elegant yet welcoming Royal Palm is renowned for its flawless service and outstanding hospitality: hotel staff outnumber guests by three to one, assuring every guest total relaxation and outstanding service. A highlight here is the superb cuisine from internationally recognised chefs; their celebrated talents have earned the hotel a reputation as one of the island’s most desirable places to dine. Organic elements are at the heart of Royal Palm’s Spa by Clarins. Natural materials including lava stone, granite, wood and slate blend with the environment while providing a strong visual statement. The design blends indoor and outdoor spaces which are focused around a free-flowing pool surrounded by a spacious sun deck. Set amidst lush vegetation and sparkling water features, all cabins have shingled roofs and most have large bay windows that welcome the natural daylight. 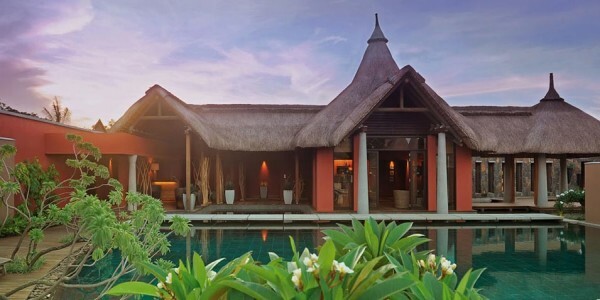 Each is decorated in a different theme and has a private patio to allow guests to enjoy their treatment outdoors.Adjacent to the entrance, a thatched pavilion houses the yoga area. Immerse yourself in the atmosphere of mystery, charm, richness and elegance. Achieve peace and a balanced, serene spirit as your entire body submits to total relaxation. Unlike other holiday destinations and hotels, at all of the Beachcomber hotels many of the land and water sports are free for guests – including waterskiing. The Royal Palm has 3 floodlit, artificial grass, tennis courts (Head tennis rackets are complimentary, however tennis balls will need to be purchased), a squash court, table tennis and bocciball which are all complimentary to guests. Mountain bikes are available for hire. Guests may make use of the gymnasium which has machines, free weights and is located close to the spa. Personal trainers are available for one to one sessions and there is a kinesis studio complete with Power Plates. Gentle, inviting waters make Mauritius a perfect destination for water activities – water-skiing, windsurfing, glass bottom boat trips, snorkelling trips, kayaks and pedal boats are complimentary for guests. A Royal Palm speed boat is available for hire – a day trip with picnic out to the nearby islands is a great day out. In season, Mauritius offers superb deep sea fishing. Fishing charters are located just 10 minutes drive from the hotel and offer half and full day trips on fully equiped specialist fishing boats. The Royal Palm Hotel has a PADI-Diving Centre located just 10 minutes drive from the hotel. All Beachcomber hotels have a free Bob Marlin Mini Club which welcomes children aged 3 – 12 years 7 days a week. The Royal Palm Children’s Club is open from 0900 to 2200 daily. The clubs are run by qualified professionals who provide fun, but also educational, indoor and outdoor activities to keep your little ones entertained and happy. Every day there is a set activities programme which you can dip in and out of, if you also want to spend some family time together during the day. Children and infants under 3 can attend the Club but must be accompanied by an adult or baby sitter. *Babysitters are available – 24 hours advanced notice required – bookings to be made at Reception -transport home for the babysitter at guests’ charge. The luxurious all-suite accommodation at Royal Palm is some of the finest you’ll find on Mauritius, blending stone, wood and thatch to create an atmosphere of natural calm and beauty. 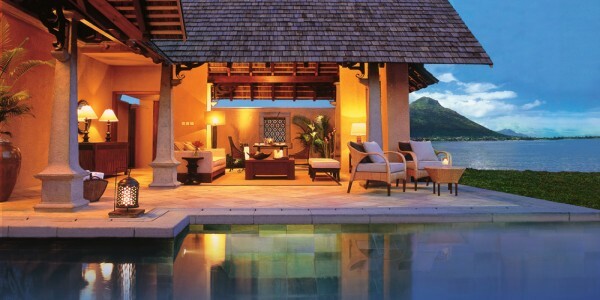 Suites are spacious and sumptuous with views towards the calm, crystal waters of Grand Baie. 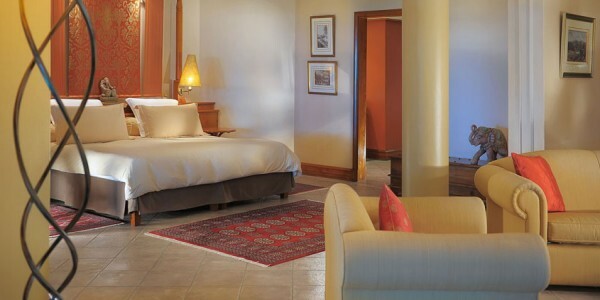 All suites include: Individually controlled air-conditioning, bathroom with separate shower and WC, walk-in wardrobe, international direct dial telephone – plus lines for fax and email, FREE Wi-Fi, safe, minibar, television with satellite channels and DVD player. Non-Smoking Policy: All rooms, restaurants, bars and public areas of the Royal Palm hotel are non-smoking areas. 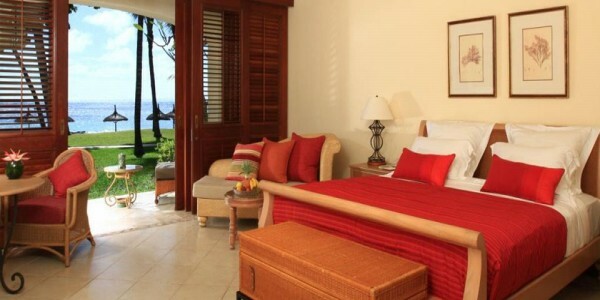 57 beautiful Junior Suites are located on the ground, first and second floors and are close to the lovely beach. 4 Tropical Suites are located on the first floor with balcony and stairs leading down to the gardens. 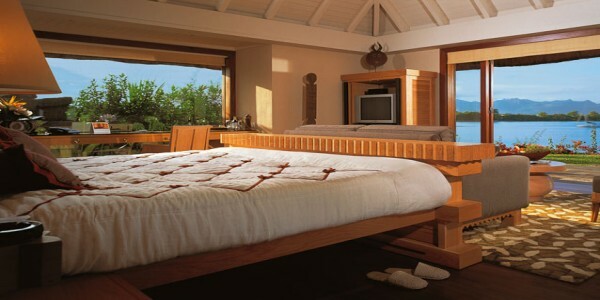 7 Palm Suites are located on the ground floor and provide double access to the terrace and the gardens and beach beyond. 3 two-bedroom Garden Suites are located on the ground floor. 8 Senior Suites located on the ground and first floors with private stairs offering direct access to the gardens and the beach beyond. 1 Penthouse Suite on the top floor of the hotel with magnificent views of the ocean. 3 prestigious Presidential Suites which are situated on the top floor have breathtaking views from the spacious balconies over the ocean. For the ultimate in space and luxury, regularly used by members of state and royalty for maximum privacy. Known for its exceptional cuisine, Royal Palm invites you to sample delicious cuisine in each of its three restaurants: Le Bar Plage, Le Natureaty and La Goélette. These names have ventured far beyond the bounds of Mauritius and as such take you on a journey of their own with carefully selected dishes delighting all your senses. Award-winning French Chef Michel de Matteis presides over the kitchen where he weaves the magic to create memorable meals. Absorb the sophistication and sip a glass of champagne on the terrace of the bar overlooking the most beautiful sea view in Mauritius. La Goélette, a romantic terrace restaurant, has acquired well-deserved international status over the years. Today, the restaurant is recommended worldwide. Here you can enjoy an eclectic mix of international and local favourites, combining the world’s finest ingredients with the freshest produce in Mauritius. Open between 07:30 – 10:30 and 19:30 to 22:30. Seats 80.
the first one promotes Wellness, the second one features Mediterranean or Asian foods, and the last one focuses on a product or a special theme. Open between 19:30 – 22:00. Closed Sundays. Seats 35. The perfect beachfront setting for lunch. All of the tables are set on wooden decking under the shade of a huge Badamier tree. The delicious menu includes light snacks and a selection of chef’s salads made using local produce. Open for lunch between 12:30 to 17:00. Seats 70. Bar open 10:00 to 17:00. Guests may also enjoy the informal elegance of private dining on their balcony or terrace. Nothing could be more enjoyable than a leisurely breakfast or romantic dinner at a table laid exclusively for you and served by a personal waiter. For small family parties there’s also the option of dining at the Captain’s Table.